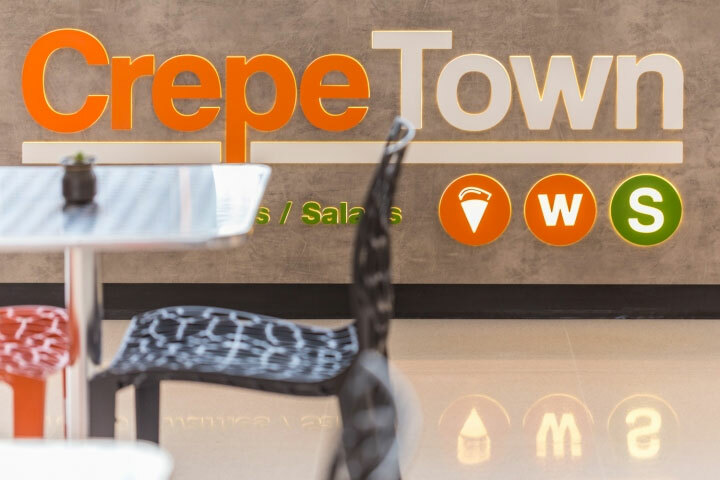 With the CrepeTown kiosk in Sorocaba, Belgian waffles meet New York culture, and they coexist happily in a Brazilian location. This cosmopolitan blend may be the source of success for the kiosk’s owner, who is equally passionate about the Belgian signature treat and everything New York. 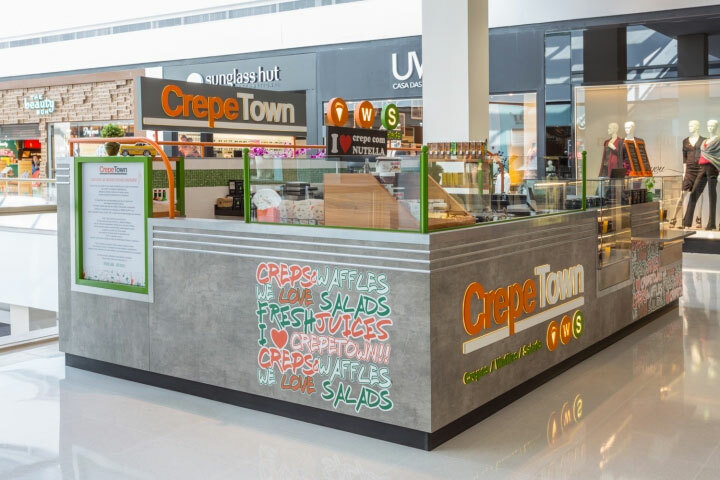 Designed by Estúdio Jacarandá, the kiosk takes hints from one of the most iconic yet unpretentious sights in New York – the subway station. 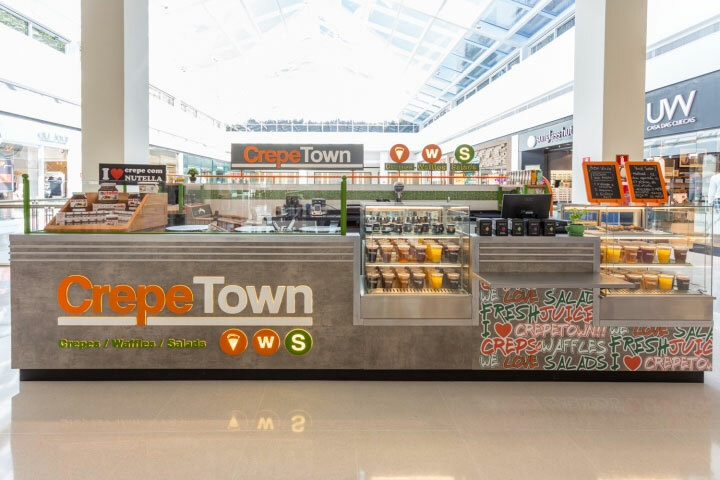 The neutral background, the lighted “service bullets”, even the lettering of the kiosk sign attempt to capture the vibe of a place that is an intrinsic part of the New York culture. 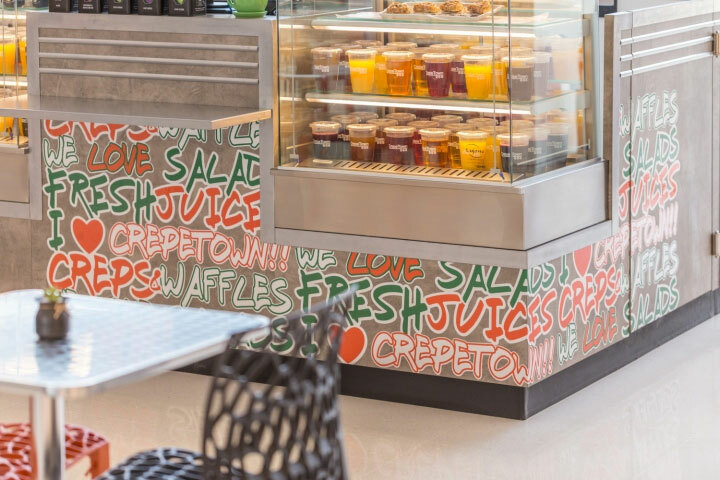 On the side of the counter, a simple, multicolored version of the menu in large lettering borrows from the character of subway graffiti art. Other accent elements are suggestions of what makes up the charm and uniqueness of New York culture and identity: yellow cabs, the Brooklyn Bridge, the Statue of Liberty. 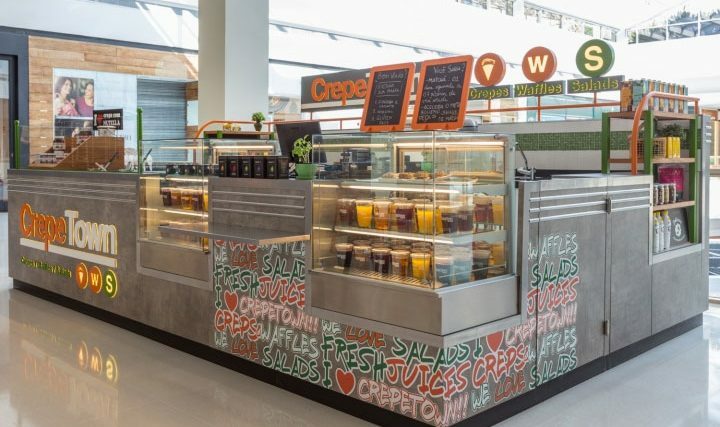 Behind the counters, subway tiles line up the interior walls, in deference to the same New York subway idea. 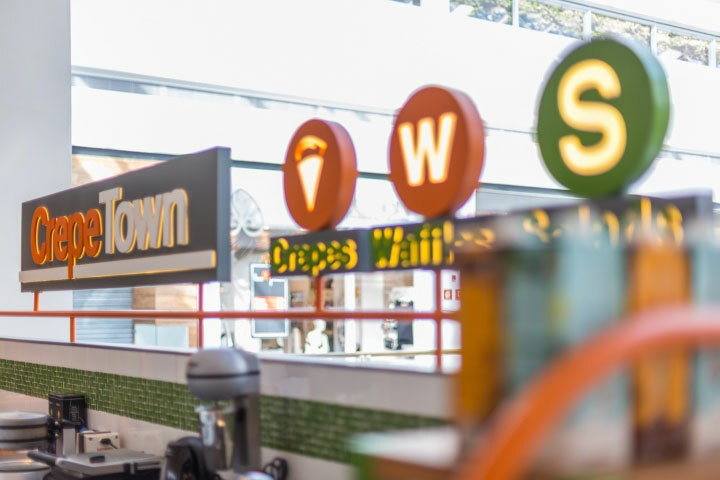 Even the sense of urgency that fills the New York subway stations has a counterpart in the ability to buy a quick treat while rushing by the kiosk. 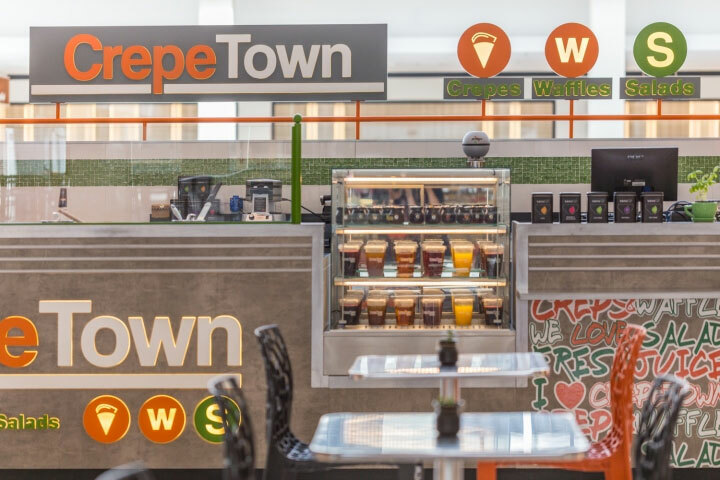 True to its element of inspiration down to the smallest detail, CrepeTown is an example of how consistency in design and a clear vision combine into a successful branding effort.